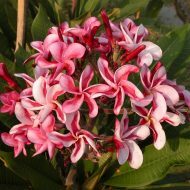 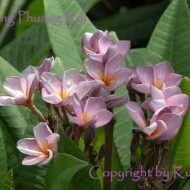 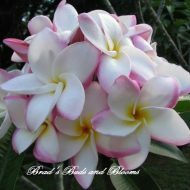 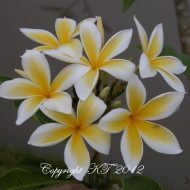 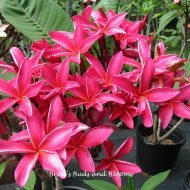 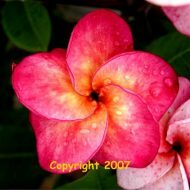 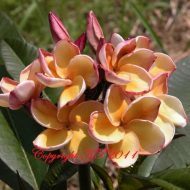 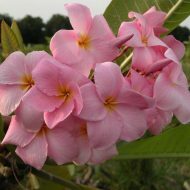 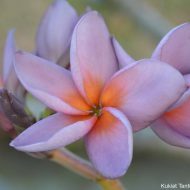 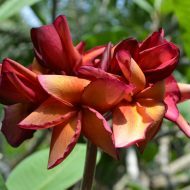 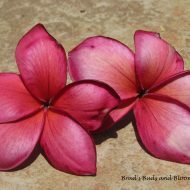 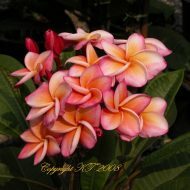 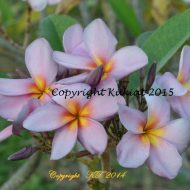 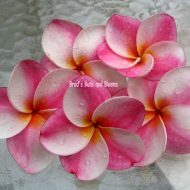 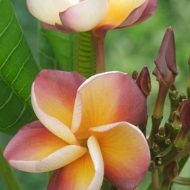 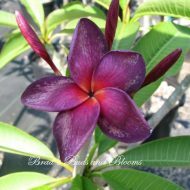 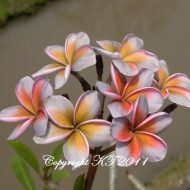 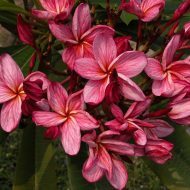 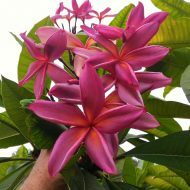 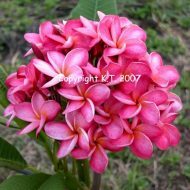 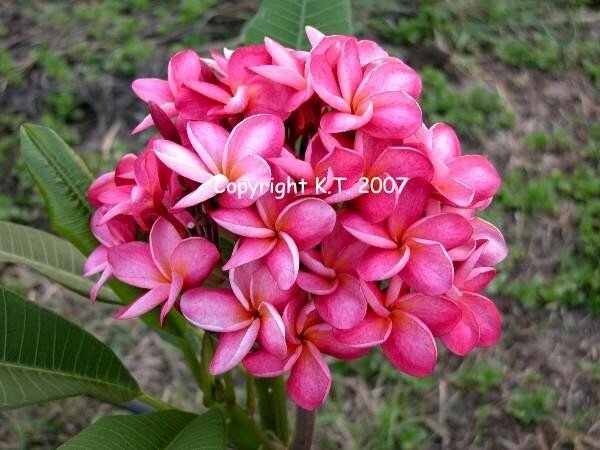 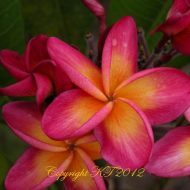 This lovely plumeria is well loved due to its semi-compact growth habit, and, that is tends to bloom with many flowers open at once, forming a large ball of gorgeous and sweetly fragrant blooms. 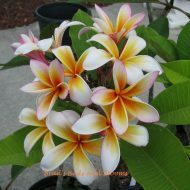 The bright pink flowers are about 3″ with some white veins and a lovely contrasting orange center. 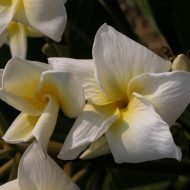 Fragrance is sweet and somewhat like jasmine. 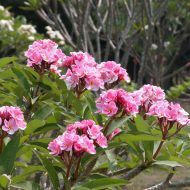 Rooted plants–NOT Grafted—13″-16″ from the soil line.